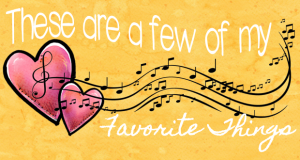 I’ve been humming this tune as I put my classroom back together after a restful (but HOT!) summer. I know it’s a song we hear in December, but I can’t help but love the resources I have found on TeachersPayTeachers. When I search this site, I find myself being inspired by the many incredible gems offered by such creative teacher-authors. And to top it all off, many of these finds are free! 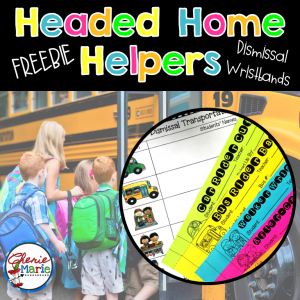 Here are just a few of my favorite freebies that helped decorate, organize, and assist with the functionality of my classroom as I prepare for Back-to-School. I refer to different genre throughout the year as I introduce new stories. 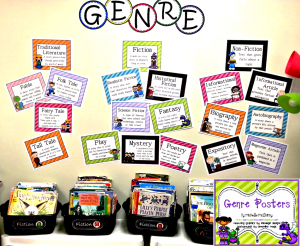 Michelle McElhinny created this wonderful freebie, Genre Posters, which includes a wide variety of mini-posters that describe each type of genre. This display only includes the genre I teach in 3rd grade. However, there are more posters in this generous freebie than what is seen in this picture. You can check out this resource and download by clicking the link above! I’m loving my CAFÉ and VOICES bulletin boards. Casey of Bright Ideas in Third Grade made my day when I came across her Daily 5 Letters Combo Pack, Color Block CAFE Headers, Writing VOICES Letters Combo Pack, & Writing VOICES headers. The colors she uses in these resources go well with my chalkboard décor and can brighten up any room. 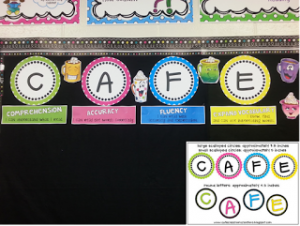 Her headers include general “I can…” statements to remind students the importance of each component in CAFÉ and VOICES. Note: The cute Hot Mugs graphics were designed by Sarah Pecorino Illustrations. They were so fitting for this board, I couldn’t resist buying this clip art. 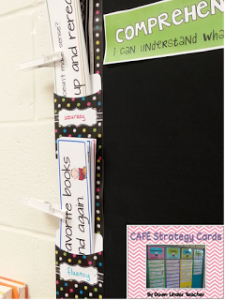 To top it off, Down Under Teacher has made my life a lot easier with these CAFÉ Strategy Cards for comprehension, accuracy, fluency, and expanded vocabulary. 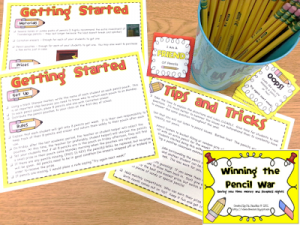 I printed, laminated, and sorted the strategies so that I will have easy access to them throughout the year as I introduce these strategies. As you can see, they are clipped together, placed into their pockets, and are ready to go. I love the idea of clearing off my desk and putting supplies where they’re easily accessible. Jana Guerra We Heart 1st has this fabulous freebie for getting teachers organized. What’s more, these Chalk and Arrows labels are editable! These pockets hang above my desk, leaving more surface space for other important things. 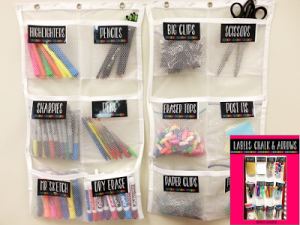 These can be easily used to organize student supplies as well. As teachers, we all have our own classroom nightmares. For most of us, the management of student pencils is one of them: the student without one, but had one a minute ago or the whirring of the pencil sharpener during the most inopportune times. The Wise Owl has answered teachers’ prayers with her Winning the Pencil War resource! This incentive system is a win-win for both teachers and students. Teachers don’t have to hear the pencil sharpener during the instructional day, and students are motivated to keep track of their pencils. We all know having a great positive behavior system in place before school starts, is crucial. We want to give students specific praise for the good habits we are trying to instill in them. 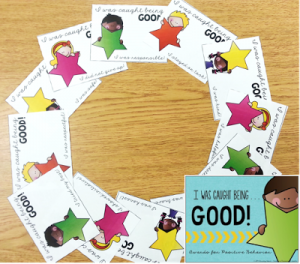 Christy Howe has designed a resource, I Was Caught Being… Good!, that includes 12 different certificates for positive behaviors. 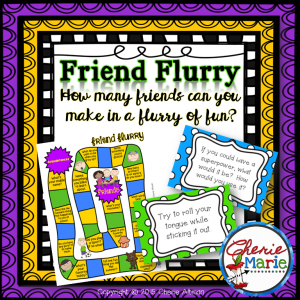 In this resource, she shares the way she implements this reward system in her classroom, from creating a “Character Counts” bulletin board to sharing with family and friends. These awards are editable as well, which means you can choose the specific behaviors whether they are academic, personal, or social and create awards to fit your students’ needs. Meet and greet at the beginning of the year is a great time for parents to get to know you as a teacher. It’s just as important for us to get to know our students and families. I have gleaned a lot of information from using my Back to School Parent Survey. It’s a great questionnaire to put on students’ desks when parents come to Back to School Night. This survey allows parents to share a little bit about their child and give some insight to things of which you may need to be aware, without pulling you aside for a deeper conversation in a room full people. 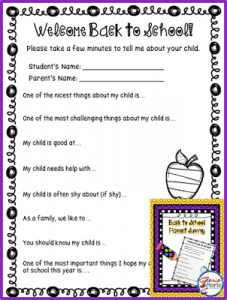 This has been a lifesaver because it allows me the freedom to spend equal time meeting and greeting all families, parents feel they have an opportunity to express what they want me to know, and the information is on the completed surveys so I can refer to them at any time. On the morning of the first day of school, kids stroll in at different times. Some are very early and some might have found their way in after the bell. I always like to have something on students’ desks that require little direction from me and that will keep them busy as parents come in and introduce themselves (if they’ve missed the meet and greet). 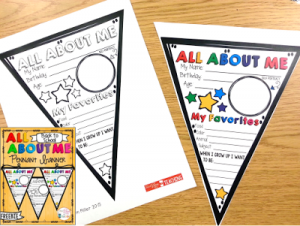 This All About Me Pennant Banner by KimMiller is a perfect activity to get students settled that first morning. It is also a perfect ice-breaker for students when they pair and share once they are done. There are so many great freebies on TpT that can make this your best year ever! What’s one of your great finds? Please share links to any awesome gems in the comment area below that have beautified, organized, or helped you manage your classroom better. We all love a great resource! *Clip art for heading by Sarah Pecorino Illustrations and Digital Designs & Art. Grab even more resources found in my TpT store, and sign up for my free resource library to gain access to exclusive freebies only found on my website.